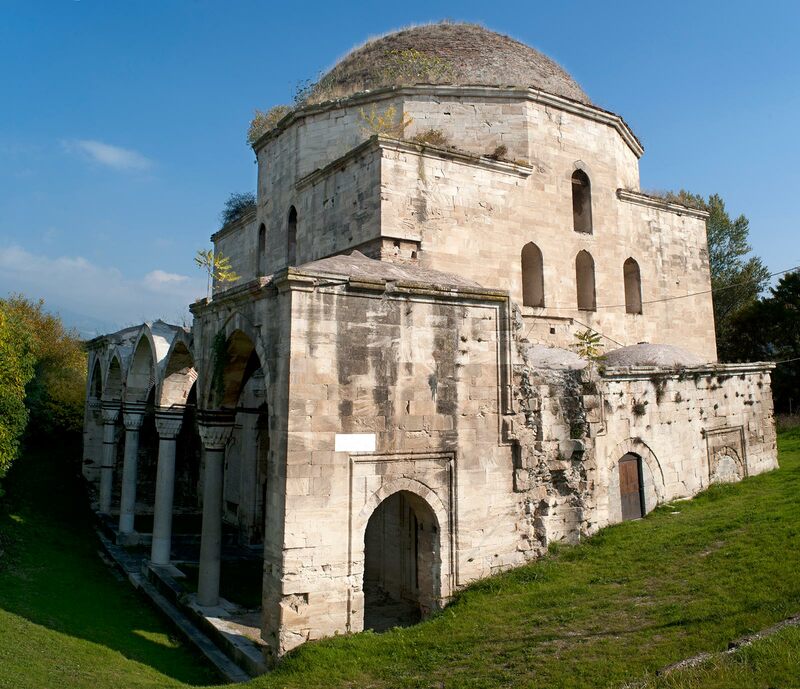 The Mosque Mehmet Bei and Ahmet Pasha, known to the inhabitants of Serres as Hagia Sophia was built in 1492-1493 and is the largest and oldest of the surviving Mosques of Serres. Located next to the stream of “Agioi Anargiri” in southeast Serres. 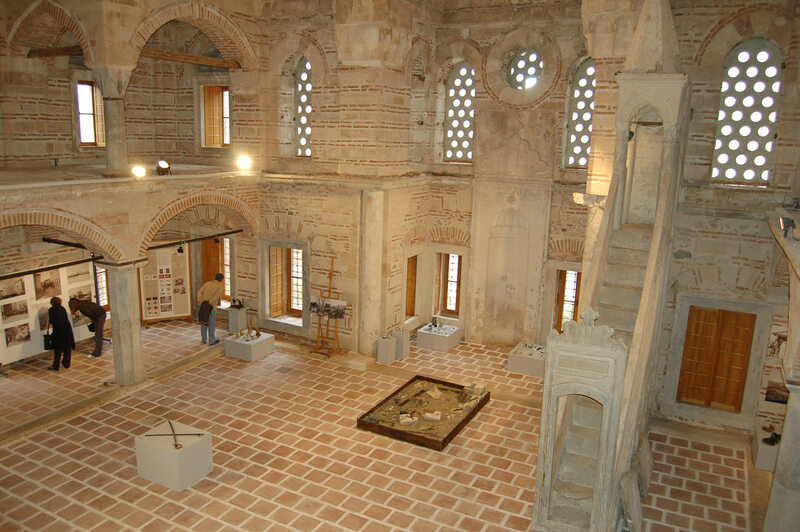 The Mosque was rebuilt by Mehmet Bei, husband of Princess Selçuk Chatoun (daughter of Bayezid II ) . The materials that the Monument has been built are the yellow limestone, whilst the domes are built with bricks and covered with lead. The walls inside were plated and according to older travelers, a garden was surrounding the whole Monument. The interior of the dome has a diameter of 14.58 meters. 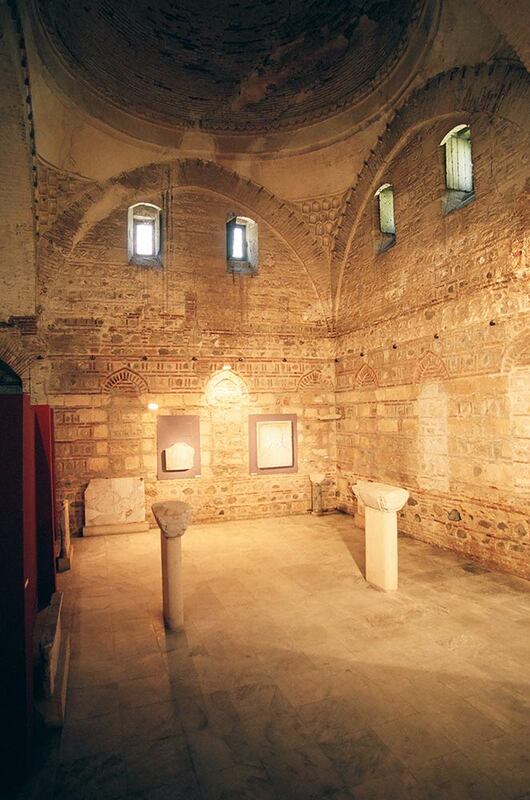 Zintzirli Mosque is located in the southwestern part of the city of Serres near the 'Emporiou' Square Trade and is a reference point in the cultural life of the region. It is one of the 3 most major Monuments that were built in the city, dating from the 16th century. 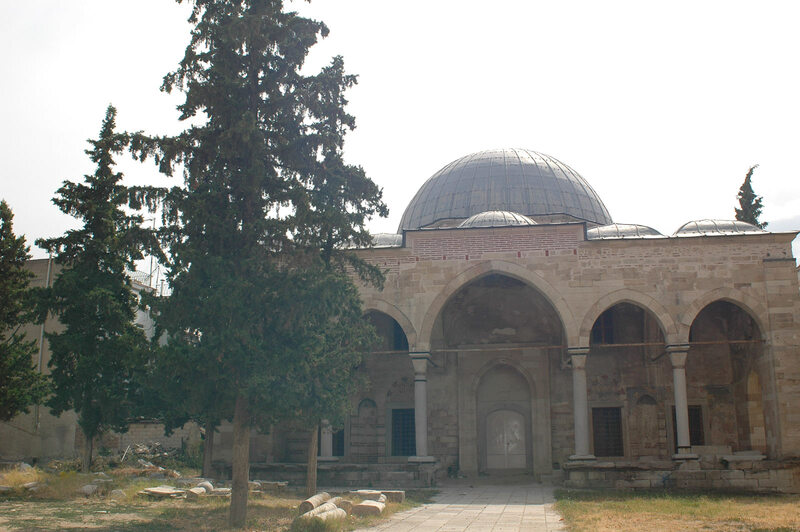 Zintzirli is a midsize Mosque with a central quadrangle area surrounded by two-story portico and supported by columns on all three sides , east , north and west . 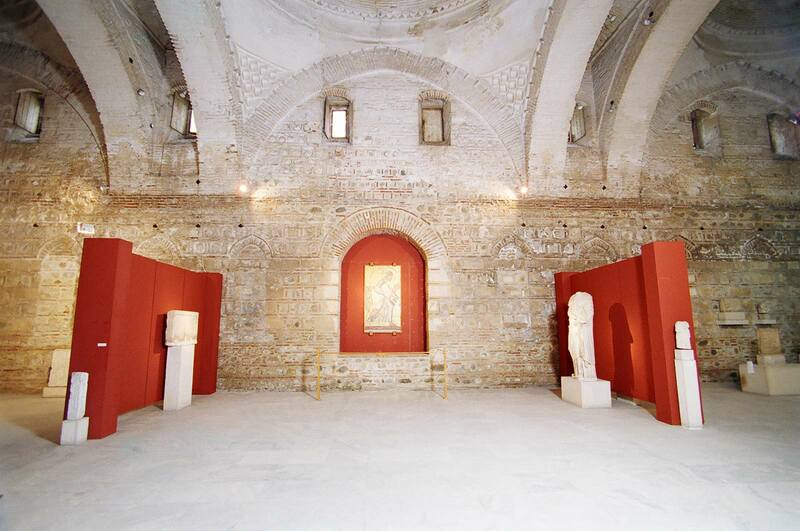 The central area is covered with a dome, while the ground floor and the first floor galleries are covered with trough-like domes. 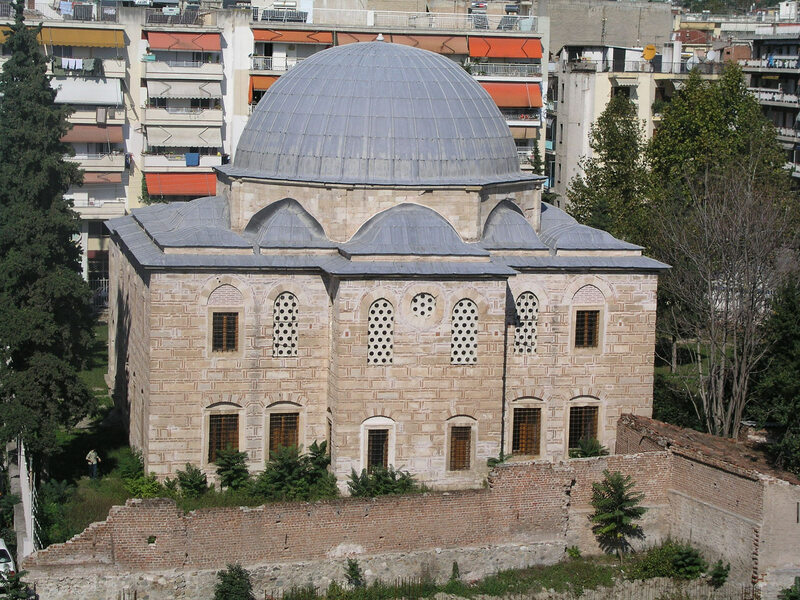 In the center of Serres is the Mosque Bezesteni. 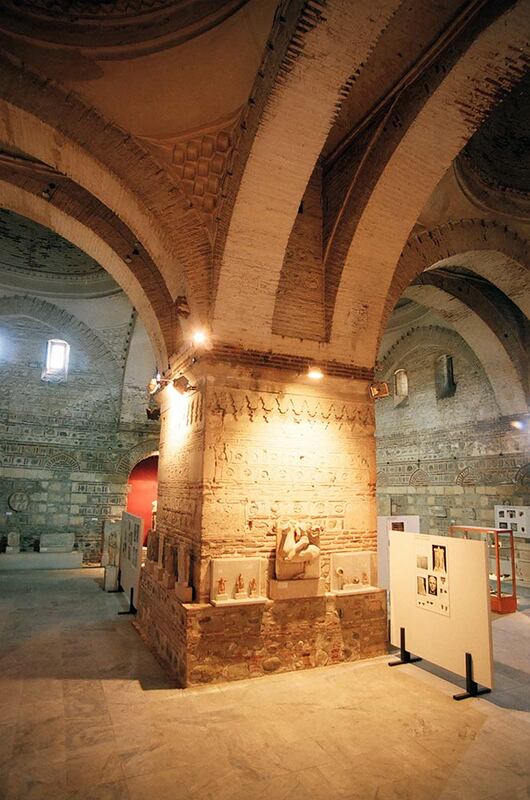 It is a listed Monument which was a 15th century enclosed and covered market place in the city center. 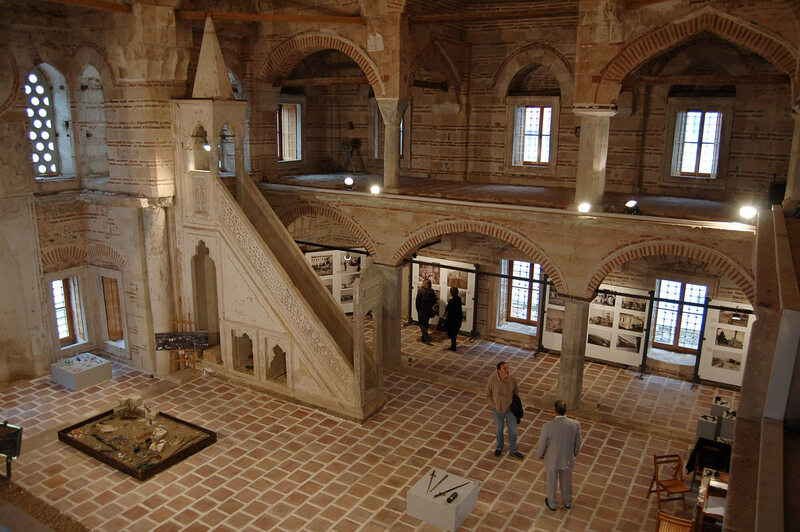 The Archaeological Museum is housed in the Mosque and its exhibits extend from Prehistoric to Byzantine times.